Mesa, AZ – New for 2019, Berger announces the addition of two 6mm Creedmoor offerings to their successful Match-Grade Rifle Ammunition line. New Berger 6mm Creedmoor Hunting Ammunition is loaded with 95 Grain Hybrid Classic Hunter projectiles and Lapua cartridge cases offering match-grade accuracy, lethal precision and sub-MOA results. Classic Hunter bullets are purpose-built to optimize ballistic performance in the field, while functioning flawlessly through any factory rifle magazine. Its cutting-edge hybrid ogive design is the same as Berger Hybrid Target Bullets, yet allowing for SAAMI length configurations for efficiency in the field. 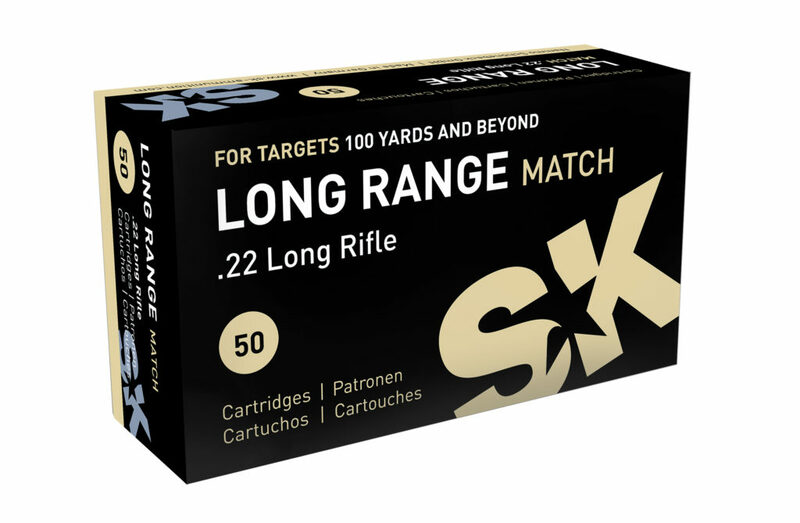 New 6mm Creedmoor Target Ammunition is loaded with Berger 105 Grain Hybrid Target bullets, the “go-to” for PRS shooters and long-range accuracy enthusiasts alike. Built using premium grade Lapua cartridge cases, Berger’s 6mm Creedmoor Target Ammunition provides the discriminating shooter the highest quality components and sub-MOA accuracy “off-the-shelf”, unequaled by the competition. Berger Ammunition is offered in an assortment of Target, Hunting and Tactical configurations for both 6mm and 6.5 Creedmoor, 260 Remington, 308 Winchester, 300 Winchester Magnum, 300 Norma Magnum and 338 Lapua Magnum. Each cartridge is assembled with the world’s finest components to exacting tolerances, purposefully dimensioned to maximize the results of your favorite firearm and discipline. Find Berger Ammunition at your favorite Berger retailer. Berger Bullets and Ammunition are manufactured in Mesa, AZ and distributed by Capstone Precision Group, LLC. Capstone also holds exclusive distribution for Lapua, Vihtavuori and SK products. 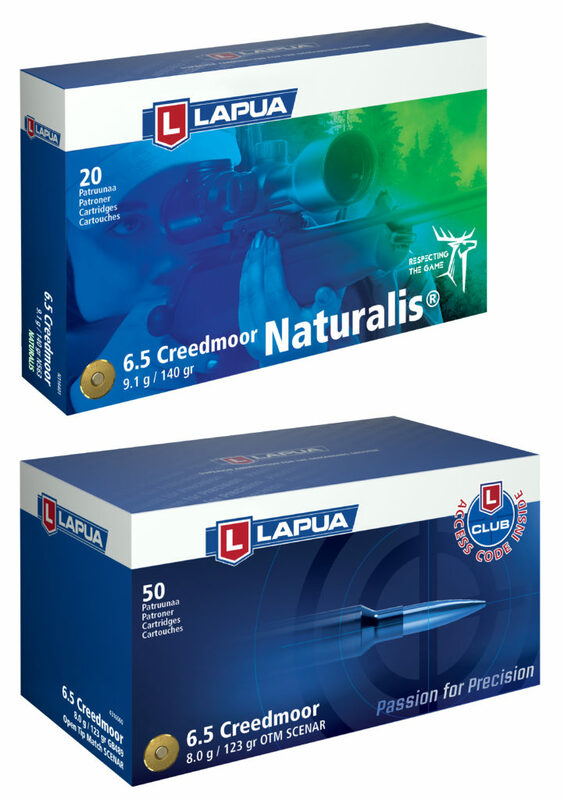 Sedalia, MO – Lapua, world-renowned for producing the finest cartridge cases and ammunition, announces the addition of the 6.5 Creedmoor cartridge to their Scenar-L Target and Naturalis Hunting ammunition offerings. The 6.5m Creedmoor 136 Grain Scenar-L offers an optimized, high ballistic coefficient (BC) for long-range competitive target shooting, yet maintains SAAMI configuration for flawless function through all factory or custom rifle magazines. 6.5 Creedmoor loaded with the 140 Grain Lapua Naturalis provides hunters a lead-free alternative for today’s ever-changing hunting landscape. Designed and manufactured from pure copper, the Naturalis construction is proven to reliably retain 90-100% of its original weight. It uses state-of-the-art technology to produce consistent, controlled expansion at the widest velocity range on the market. Erkki Seikkula, Lapua Sales & Marketing Manager states, “Lapua continues its support of the Creedmoor cartridge by offering cases, bullets, and now loaded ammunition to help sustain its growth. Competitive shooters insist upon having top quality products, and Lapua will reliably answer the call by providing the very best.” Lapua Components and Ammunition are exclusively distributed in the USA by Capstone Precision Group, LLC. Capstone also offers Berger, Vihtavuori and SK products. Mesa, AZ – Capstone Precision Group, distributor of precision ammunition products, is pleased to announce the appointment of Dan Thelen as General Manager. Thelen brings over 22 years of experience in finance and operations, spent in the shooting sports industry. He was recently Chief Financial Officer at Hodgdon Powder Company and previously Director of Operations for Modern Muzzeloading, Inc. Additionally, Thelen oversaw accounting and operations for a global manufacturing and parts distributor. “Dan Thelen brings significant leadership experience to our growing Capstone team. 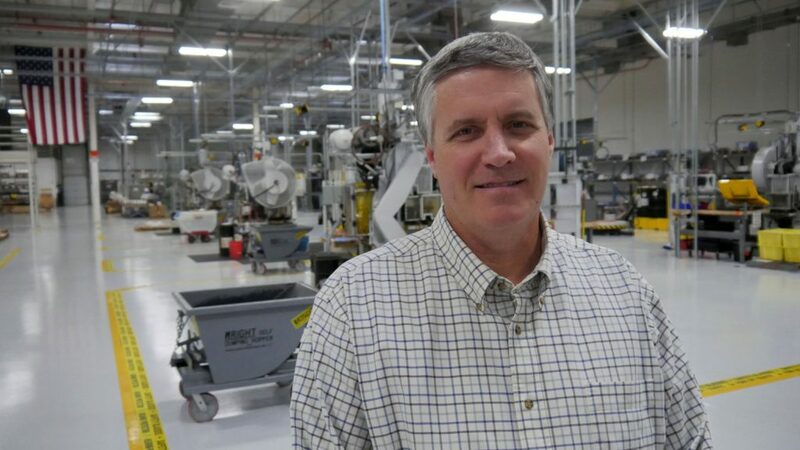 His production planning, financial knowledge, and operational skills are a great addition to our team as we push forward in the industry,” said Bill Gravatt, President of Capstone Precision Group. Thelen will also lead the Mesa, Arizona facility where Berger Bullets and Ammunition are produced. The Capstone Precision Group was formed by Nammo in 2017, following the acquisition of Berger Bullets. Capstone produces Berger bullets and ammunition, and imports Lapua centerfire and rimfire ammunition and reloading components, Vihtavuori smokeless powder, and SK rimfire ammunition into the United States. Our team will be out of the office from December 24th to January 1st, 2019. We will be returning on January 2nd and will respond to any messages left over the break at that time. We’re pleased to announce the relocation of our bullet manufacturing operation is now complete! Over the past few months, we’ve moved our entire Fullerton, CA facility to the Greater Phoenix Area where we first made Berger projectiles over 30 years ago. 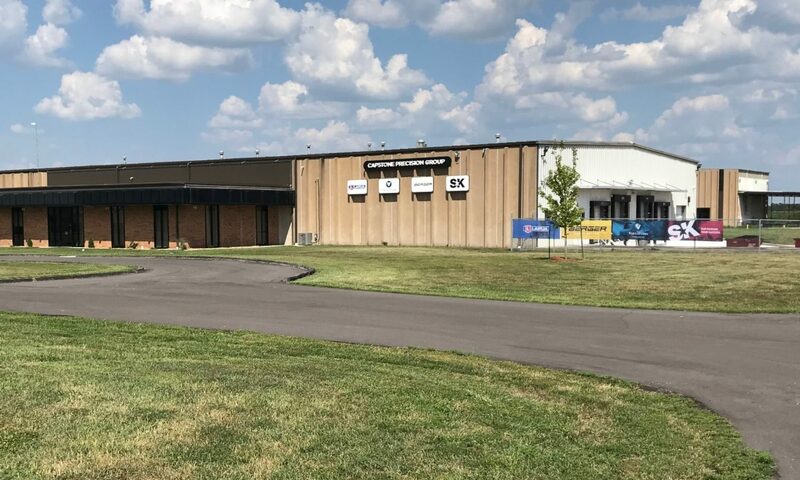 Our relocated manufacturing facility is now paired with our new ammunition loading capabilities, where New Berger Ammunition will soon launch in Q2, 2018. We here at Capstone Precision Group are proud to announce that Applied Ballistics Munitions has now become Berger Ammunition. We have been working hard over the past several months to upgrade our machinery and production capacity of our ammunition department. We want to thank your customers that have been using ABM over the years, and want to insure them that our quality and capabilities have improved over the past several months since our move to Mesa, Arizona. Now that both our Bullet and Ammunition plants are located in the same facility, we have made the decision to re-brand ABM as Berger Ammunition. With this re-branding, we expect to begin development on several new cartridges as well. Visit our ammunition page at the link below to find out more! Already an existing ABM customer? We will continue to fill existing ABM orders until all orders are filled. If you have a question, send us an email at sales@capstonepg.com and we will be happy to help. Click here to view our new ammunition page.